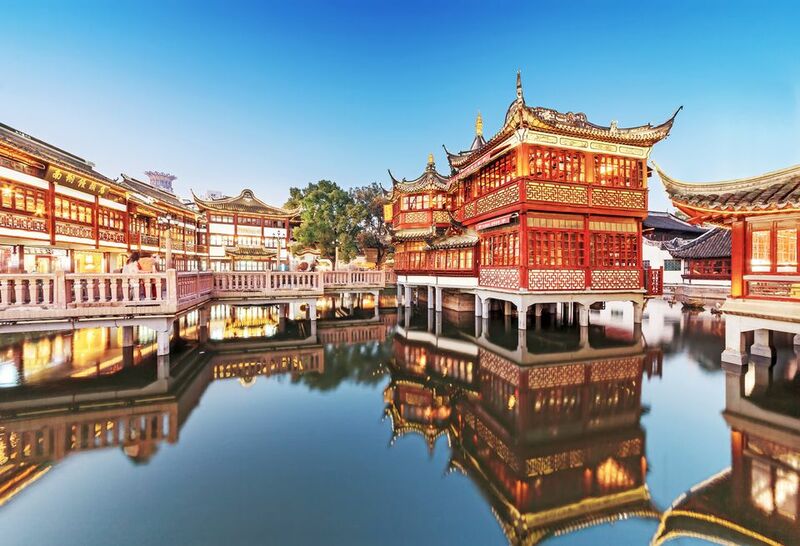 Known by lots of different names such as the Yu Gardens, Yuyuan, Yuyuan Bazaar, Nanshi and Old Town, the area that surrounds Shanghai's most famous classical garden is Tourist Central. Flocks of domestic and foreign tourists alike head to the area to get their fill of culture. The area can be kitschy but it's always fun. All kinds of treasures are located in this small area that was once a walled enclave of Chinese-only when Shanghai was divided into foreign concessions (pre-1949). Surrounding the garden is the bazaar and surrounding the bazaar is a maze of old laneways and alleys where locals live - although these old lanes are slated for demolition so the area is definitely on the development map. On a city map, the old city is quite easy to find as Renmin and Zhonghua Roads make a circle around the area. The old city is located just south of Yan'an Road and the Bund. Here is a quick list of the main things to see in Old Town and the Bazaar, but much of the fun is just to wander through the lanes. Arm yourself with a map. Many of the small alleys aren't labeled but eventually, you'll find a main street. Yu Yuan (garden) - the classical Ming garden that was built originally in the 16th century. There is an entry fee and you can buy tickets outside of the main gate (near the Huxingting Tea House). You'll make your way through the garden and leave by a small exit that will get you back out into the bazaar area. Huxingting Tea House - the stately floating structure sits outside the gardens in a pond and is accessed by the "nine-turning bridge". You can actually go inside and have tea but most people just opt for a photo in front. Nanxiang Dumplings - just sidle up in the line (that can take over an hour) for some xiao long bao that are supposedly the best in China. Central Fangbang Road - a major artery in the Old City that is full of curio and "antique" shops. Lantern Festival - during Chinese New Year this area hosts the city's Lantern Festival. Hundreds of lanterns - from small hanging traditional ones to enormous ones depicting the Chinese Zodiac fill the Old City. You can visit day and night in the lead-up to the Chinese New Year's Eve festivities but it can be very crowded. Best to take a taxi. Many of the streets are one-way or blocked on weekends. The taxi will drop you in the area and then you can wander around. You'll know you're in the right place when you see classical Chinese architecture. Plan to spend a nice half-day wandering around, especially if you also want to see the garden and do some shopping. It's nice to go in the morning and then stop somewhere for a dumpling lunch. Don't try to leave the area on a weekday between 4-6pm. Trying to get a taxi out of the area can be a nightmare. The area is fun to see at night. All the eaves of the buildings are lit up and you can get some fun night photos. Try some of the Shanghai snacks that can be found in the bazaar around the garden and Huxingting Tea House. Be careful with your valuables, it's a crowded place and easy pickings for pickpockets.